Gun-free zones are hunting preserves for psychopathic murders. The political left created the problem of school shootings. They then use the problem to justify a new “solution” which will make things worse. 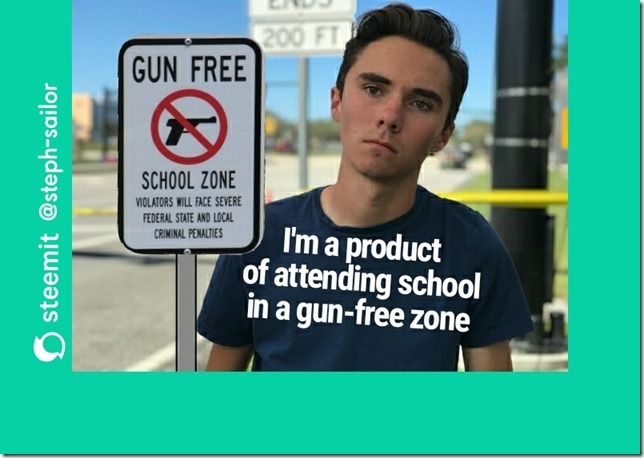 Hogg, in so many ways, with his crap for brains “solutions”, was produced by leftists and is a tool of the leftists. And it continues. Facebook too will become a gun free site with its own private censorship.